Price Action is one of the most useful strategies you can add to your trading arsenal. I always recommend starting out visually detecting price action patterns, but once you understand how simple they are, you can easily start to code your own price action indicators. Most of the candlestick patterns simply compare open, close, high and low price points of the current, or set of candles. 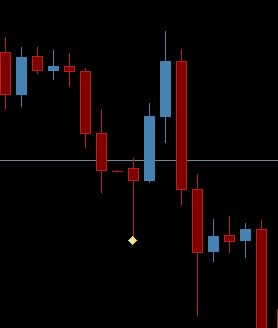 We’ll show you how to code a simple indicator to detect one of the most useful candlestick patterns.